We are finally on the third book of the series. Can you believe it? It feels like yesterday when I first picked up I am Number Four. And then the fourth book is also near, where the hell is time? So it's rare for a series to still be good, or consistently bring an excitement to readers when we are in the 3rd installment. For me, as a fan, it's really a proud thing to say that Rise of Nine is still good. First of all, I really like that we have more POV now alternating in telling the stories. I think it always comes fresh when you go from one chapter to another. And also it gives more dimension to the story. We are not stucked to just the ideal of the main character or just the mindset of one person. Second, starting off with 2 groups of Lorien trying to figure what they will do next is one of the pros of this book. The writer had opportunities to introduce some new ideas and also time to show the personalities of the new characters. To everyone who has problems with Seven and Nine, I can see why you decided to hate them but for me I have no problem with them :D But seriously I have a big problem with Sarah, come on Four ditch her. She betrayed you! Finally, the last chapters of the book is fantastic. The feeling I got was like when watching action-military-explosions-fighting type of movies. That is what makes a good ending for me, something explosive or something big and then leaves you hanging and makes you want the next book already. All in all not the perfect pacing for me, there are some off moments, but overall the book is still excellent. 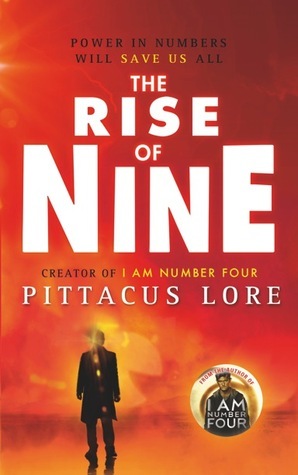 IN OTHER NEWS, Lorien Legacies will still be 6 books so fans, we still have 3 more books, Fall of Five plus 2 others then we will have another compilation of Lost Files this July 23rd called Secret Histories. 2 books this year WOW! I own the first three books but haven't read any of them xD I just saw the movie and really liked it. I really should read these.. Sounds like there are many more books to come! Oh, I read the first book AGES ago, and I quite liked it, although at this point, I can't say I remember that much about it. I definitely need to refresh my memory before jumping into the next two, but I will do it as soon as I can. I read the first book when it came our, but forgot about this series after the movie. The book was really good (except for Sarah. I don't really like her.) But the movie made it seem super cheesy to me and I never picked up book 2. I'm going to have to do that. Your review reminded me why I liked the first book!